Detersmination Farm and Equestrian Center are a dream come true for Ruth Deters and Gabrielle Deters-Snider. With two facilities with white vinyl fencing, reinforced with HorseGuard electric tape, they offer a safe and beautiful boarding option to meet your individual needs. 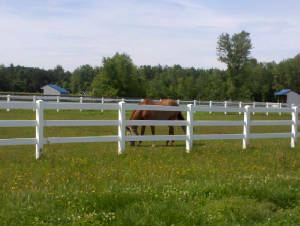 The Farm offers boarders 24 hour pasture board in large grass pastures. Horses have 24 hour access to run in stalls. At the Center horses are brought in nightly. Multiple daily feedings of grass hay or round bale access, 10% custom feed or Strategy feedings x2 are included in the standard board fee. 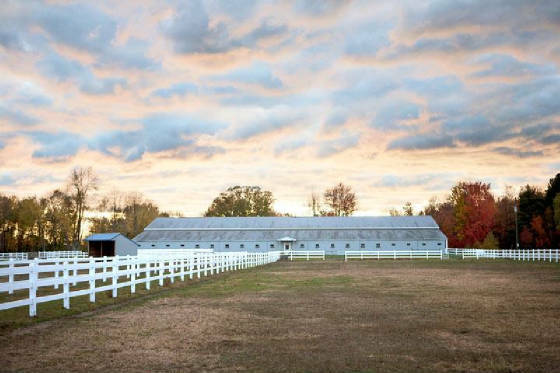 During the winter months clients from the Farm have the option of boarding at Detersmination Equestrian Center (based on availability). 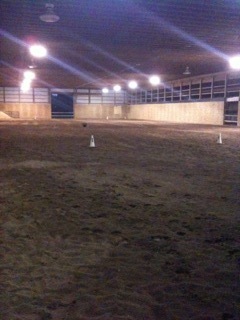 The Center provides 12x12 matted stalls, thermal water buckets, heated tack room, full bathroom, and observation area. The indoor arena is 80x260 and all disciplines are welcome.